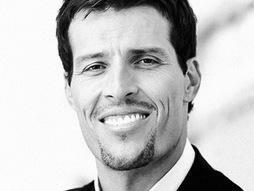 You know that guy, the one with the big teeth who used to be on TV in the middle of the night, Tony Robbins? Yeah him! Well, love him or hate him, nobody can dispute the abundant success that Tony Robbins has created in his life and in his numerous businesses. He has also helped thousands of other businesses and hundreds of thousands of people to achieve varying levels of success! The below article is written by Verity Edwards of the Australian. I thought her article really makes a valid point. Engaged staff are key to business success. Tony Robbins is quoted as saying, “leaders need to understand the motivations of every staff member if they want them to succeed or their business to move forward”. It seems so simple yet often this important factor is overlooked. You must know your people!